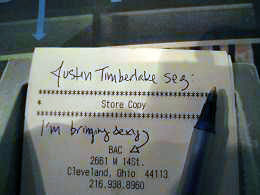 New Hobby: Ryan and I have been leaving weird notes on receipts at restaurants. 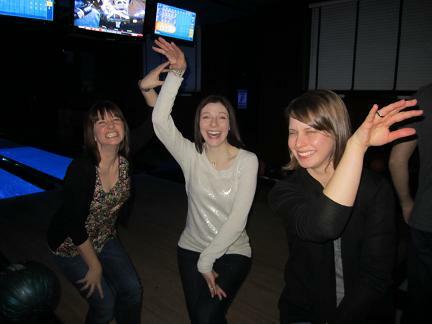 Check out our latest installment from last Friday night out at Bac, which is always fabulous. C-Town Chow Down — If there weren’t so many black pea coats, I’d think I was looking at the lines for the bathroom at Bonnaroo. I know, kind of gross. 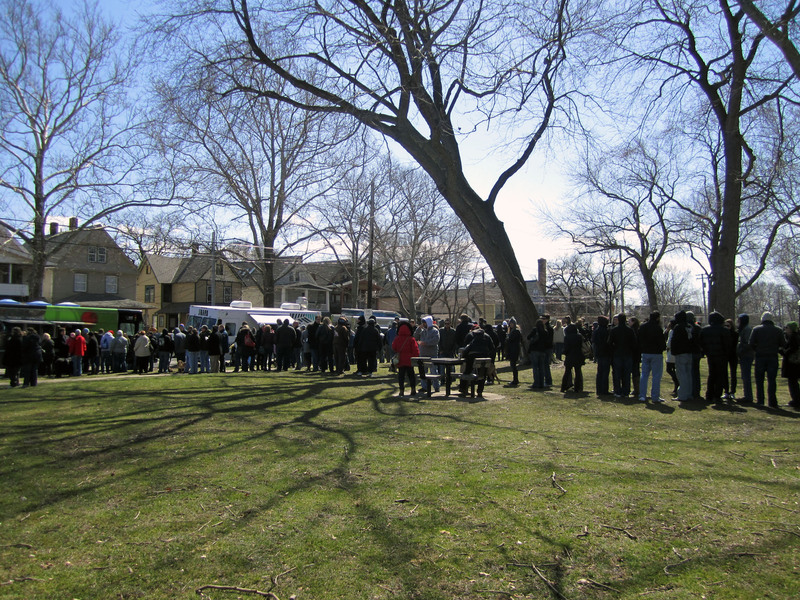 This just proves that there’s one thing we Clevelanders will line up for two hours in 30-degree weather for: delicious food. Ryan, my dad, and I braved the sunny semi-chill for Dim and Den Sum (one of several trucks parked in Tremont’s Lincoln Park) and some free orange juice and champagne. Overall, it wasn’t a bad way to spend a Sunday afternoon. Although it’ll be even more pleasant when they do it again in April, it’s 75 degrees, and I bring a set of chairs. And Dim and Den Sum is promising a 30-minute-wait-or-your-money-back guarantee at the next one, according to their Facebook page, so I’d come again. My food was an amazing pile-o-pototato-and-truffle perogie. It had Cleveland tofu and some sort of sweet delicious brown sauce on top. Click here to get Facebook updates. The next event is in April. All You Do Is Eat: False. Sometimes I drink coffee. See below. Civilization: Nothing says civilization like a bunch of strangers willing to sit in a room together drinking coffee. Why are we all hanging out? No good reason. I love that. My favorite coffee-drinking/grading spot in my neighborhood is Civilization, which has cool wooden tables and random crap all over the place, which, of course, makes me feel right at home. Today was especially fantastic. On the way there three separate old men (two who had dogs) said good morning, and one of them was one of my favorite people in my neighborhood, the Polish priest with the Pomeranian. In addition to his pleasantness, I also like all those “P”s in my head. When I finally got to Civilization, I found a tiny wooden table and got to work on my juniors’ essays while eavesdropping on the older couple sitting about 8 inches away who were recounting their adventures abroad and making plans to go for a bike ride next weekend. They must have been on to me because the guy asked if I wanted to go with them next weekend. I said yes, of course. Students Being Brilliant: Rebecca wrote this in her informal essay about Whitman’s “Song o f Myself” and a novella called “The Old Man Who Read Love Stories”: “Life would be so different without money. It’s almost impossible to imagine living off yourself and the land. It’s such an intensely difficult thing to picture. It would be scary too, to set off on your own and create. Maybe that’s why people are so hesitant to be rid of material things; we’re scared to set off on our own and not follow the group. And many people will never know whether life should be more about material things or not without being bold, living a different life.” Writing wise, it’s not perfect, but what an interesting thought. I love when they think. 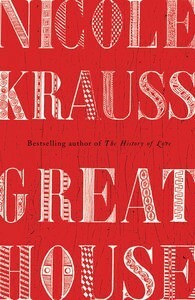 Writers Being Brilliant, Too: If you liked Nicole Krauss’s The History of Love, read her new book Great House. It’s darker, but just as gorgeous. It, like her earlier book, has moments where you pause, put the book down, and think, “I don’t need to read any more because this book could not get any more beautiful.” I’ll warn you, though, it is filled with sadness. Spring Break Snow: It’s spring break, and it’s snowing. Oh-hio. It is kind of pretty. Found: Last summer I went downtown to meet Mike and Tim before a concert. Somehow, I lost the parking garage ticket and had to pay about $30 to get out. I’ve been waiting, ever since, for the ticket to show up because I knew I didn’t lose it. And it was in my wallet. I’ve been carrying it around for months. That seems symbolic somehow. You, yes, you: Mark and Jeannie it was great to see both of you last night. I’m psyched the end is in sight, but I’ll be sad when I have no soul-crushing papers about which to commiserate with the both of you. You both make me smarter. Ann Marie you are days away from domestic kitchenbliss. I will buy you an apron. Sara, I’m jazzed to see you and baby Jack tomorrow. Jen and Moffat, I still have not completely recovered from our “happy hour.” We should go to hot yoga more often, mostly so we can overstay our welcome at Cravings. Parents and Kyle — 89 days until our epic boating adventure. Erin and Pete — This time, the Kitty Cat Club is taking first place. Ryan — although it wasn’t quite Mexico, lunch was still nice. Susan and Raychill — soon! Melissa and Tracy — sending good thoughts! Christine — brought up your crazyrunning in conversation yesterday. 2)Fear not. I got the new Roddy Doyle in the mail today, so I say, a year from now (i.e. when we can breathe again) we form our own book group and make that read #1. I got a shout out! And I love the pomeranian love in your blog! (Bailey & Moe say hi!) 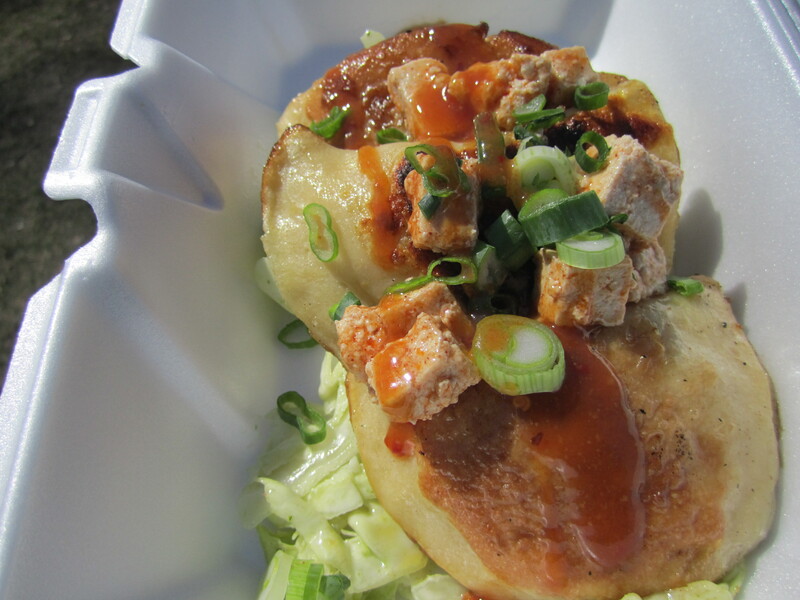 Seriously, I would move to Cleveland just for the food…it looks beyond amazing! Jeannie — I can’t believe I forgot to talk to you about Great House yesterday! And, I’m in for the book club especially if we always meet at Lucky’s. Tracy — I think of you (and Bailey and Moe) every time I see a pomeranian! Come to Cleveland ANYTIME!